But Elvis wanted to be a singer much more than a mere entertainer, and his talent in interpreting the vast musical catalog of his native country (and sometimes other countries) far, far outstripped his ability or desire to be the new James Dean or Monty Clift. It was this imbalance that had begun to nag him in 1962, but he'd come further than anyone with his background had any right to expect, even in America, and so he wouldn't dare upset the apple cart. Not yet. 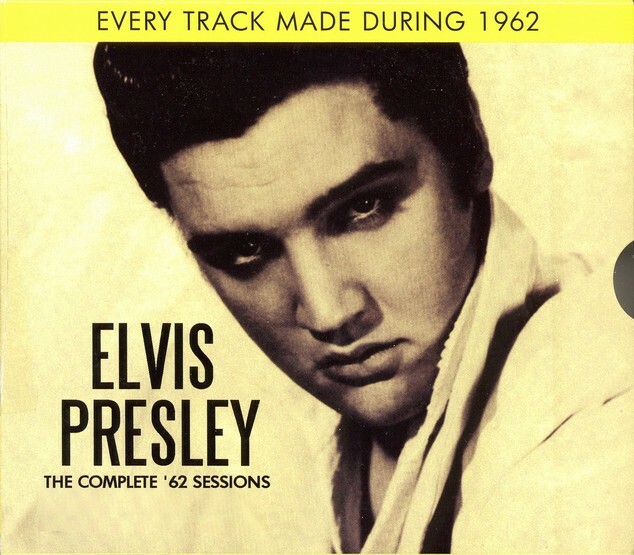 This 2CD collection includes every recording Elvis released during the year in question and a fun time can be had dividing the songs present into those that can rank amongst his greatest recordings (the numbers mentioned above and others here - would surely figure in the top 50s of most fans), and those that in a word cant! But even the cheesier cuts, when delivered by arguably the best pop vocalist and performer ever, take on a different appeal than were these same ditties handled by a lesser talent. 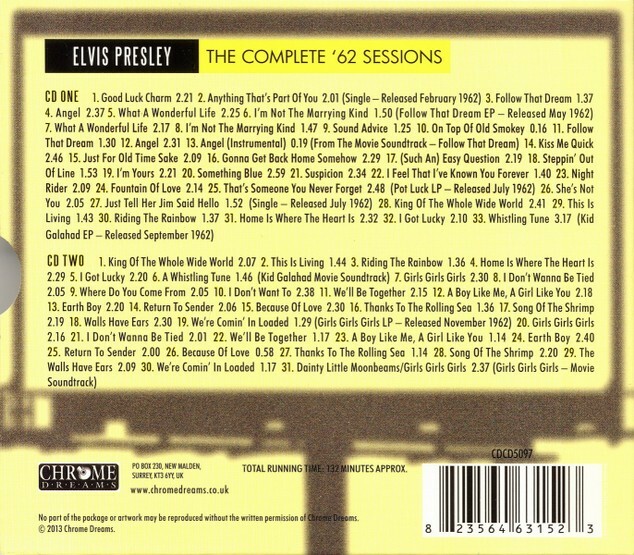 Featuring 64 tracks in all across 2 CDs and including both soundtrack and movie versions of the music from his three 1962 films Girls, Girls, Girls, Follow That Dream & Kid Galahad alongside singles, b-sides, EPs and the terrific Pot Luck LP, this latest title release continues Chrome Dreams year-by-year Elvis collection as it builds into a complete library of The Kings releases throughout his life.